The vast majority of writing on film music is concentrated on Hollywood in particular and on a canon of North American scores and films more generally. Recent scholarship acknowledges other traditions of film scoring but little has been written about European film music specifically. 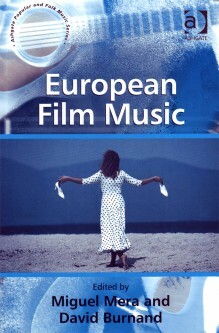 Miguel Mera and David Burnand present a volume that redresses the balance by exploring specific European filmic texts, composers and approaches to film scoring that have hitherto been neglected. Films involving British, French, German, Greek, Irish, Italian, Polish and Spanish composers are considered in detail. Starting from a study of the influence of propaganda on musical aesthetics in Nazi Germany the book includes an analysis of Italian neo-realist cinema, a consideration of the Ealing Comedies, experimental music in contemporary Spanish scoring, the invocation of traditional music, the portrayal of classical music performers, the use of space, silence and manipulation of time, and the depiction of the processes of scoring in independent film-making. Important issues that permeate all the essays involve the working relationship of composer and director, the dialectic between the diegetic and non-diegetic uses of music in films, the music-image synergism and the levels of realism that are created by the audio-visual mix. The book will appeal to those working in film studies, popular music studies, musicology, media studies and cultural theory.